"This is a delicious appetizer to be served with the salsa of your choice. I have served this many times and have gotten rave reviews." Mix cream cheese, sour cream, green chiles, green onions, garlic powder, and salt in a bowl. 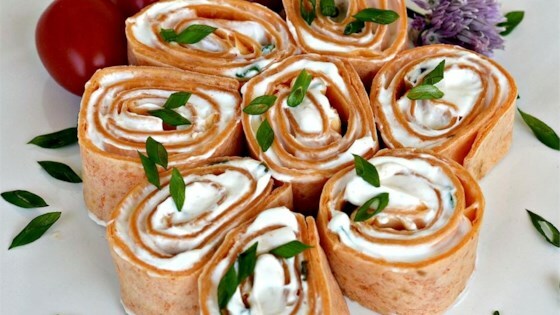 Spread cream cheese mixture onto each tortilla; tightly roll up tortillas. Refrigerate rolls until firm, at least 2 hours. Cut rolls into 1-inch pieces.